Boris Nemtsov did not pose a threat to the Russian government, according to presidential press secretary Dmitry Peskov. The murder of the Russian opposition figure has been called a "provocation" by a number of politicians and public figures. 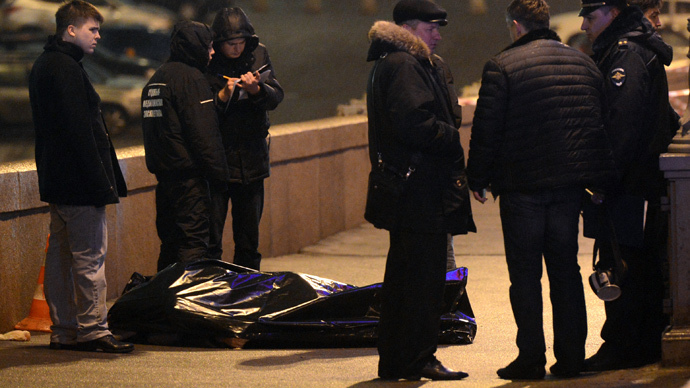 Boris Nemtsov was killed Friday evening in the center of Moscow. A veteran of Russian politics, he was an influential figure in the 1990s and held the post of deputy prime minister under former President Boris Yeltsin. Though he had been more involved in business than politics since 2003, he was a critic of the Russian government. Irina Khakamada, an opposition figure who was Nemtsov's ally in the SPS party (Union of Right Forces), called the murder a "provocation" aimed at destabilizing Russia. "It is definitely not beneficial to Putin and it is aimed at destabilizing everything to tatters," she said. Human Rights Watch representative Tanya Cooper called for a “thorough” and “unbiased” investigation into Nemtsov’s murder, adding that police must consider all angles, including the victim’s political career. US Secretary of State John Kerry said he was “shocked” when he found out about Nemtsov’s death, and called on Russian authorities to investigate what happened. “Nemtsov committed his life to a more democratic, prosperous, open Russia, and to strong relationships between Russia and its neighbors and partners, including the United States,” Kerry stated. The UK's Foreign Office said it will closely follow the developments of Nemtsov’s murder investigation. “We are shocked and saddened by news that former Russian deputy prime minister Boris Nemtsov has been shot and killed in Moscow. Our thoughts are with his family and we offer our condolences to them. We deplore this criminal act. Those responsible must be brought to justice. We will continue to follow the situation closely,” a Foreign Office spokeswoman said. Ukrainian President Petro Poroshenko called Nemtsov a friend and “a bridge between Ukraine and Russia.” He said on Twitter that he is sure those responsible for Nemtsov's death will be found. "Shocked. Boris was killed. Hard to believe this. I do not doubt that the murderers will be punished,” Poroshenko said.